The "Hattan Nishiki" rice, long cultivated in Hiroshima Prefecture and known for its especially elegant flavor, is used for producing this beautiful semi-dry Junmai Daiginjo Sake. Crafted with rice polished down to 40% and Kumamoto Yeast, this Sake is brewed slowly at low temperature. The Sake features a refined aroma and pleasant finish. 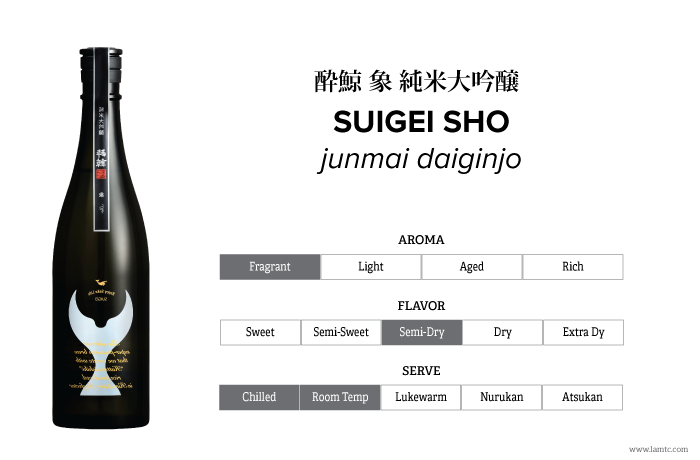 Through uncompromising pursuit of each component, this Sake was crafted to pair with food.